Importance of Testing New Products - Means Engineering, Inc. Product testing is important for a number of reasons. 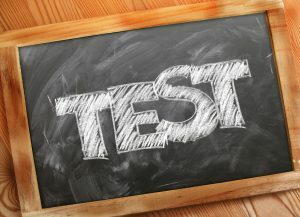 Testing allows an organization to ensure the quality of new products before they go to market. It also helps locate areas that could benefit from improvement. Fixing these issues before products hit the shelf helps prevent possible loss of customers and reputation. There are several different types of testing including quality assurance, product reliability testing, and lifecycle testing. Testing typically takes place during the manufacturing phases of product development and is often focused on consumer expectations. Products for certain industries must meet strict requirements such as products created for the medical, defense, and aerospace industries. Components in these devices must meet a much higher standard than those used in other products. Some products require Premarket Approval (PMA) testing before being passed on to consumers. This is true for medical devices that support or sustain human life. The proper operation and quality of these devices is crucial to the prevention of illness or injury. Organizations often attempt to handle product testing in-house. Unfortunately, this can cost a considerable amount of money. In order to maintain a testing lab, organizations must acquire the appropriate space, equipment, labor, and certificates. Organizations can benefit from outsourcing testing to a qualified contract manufacturer. A contract manufacturer assists with all parts of production, from design to testing. Means Engineering provides contract manufacturing services for organizations across a wide range of industries. We provide assistance with design, production, and testing of products. Our team has years of experience and understands the unique needs of businesses creating products for industries with complex requirements. We provide all types of testing including quality assurance, product reliability testing, and lifecycle testing. We our AS 9100 and ISO 9001 certified. This helps us ensure the quality and consistency of every product produced. Means Engineering tests product functionality off the line. We use predetermined factors to determine the level of testing and scores each product receives. When necessary, we test individual parts as well as finished products to ensure optimal operation and functionality.